Visit careers.lowes.com. There are three working place choices for you - Stores, Corporate Support Center and Distribution Centers. For each one, there is a brief description about it’s function. You can read the description first carefully, and then make your choice. Once you have decided the place you want to work in, you can view all the opportunities related with the working place you've selected. Choose the one you are interested in most and go on. Enter the keyword of the job you want to apply for, and select the state, city and location name you prefer, and then click “search” to find related job openings. 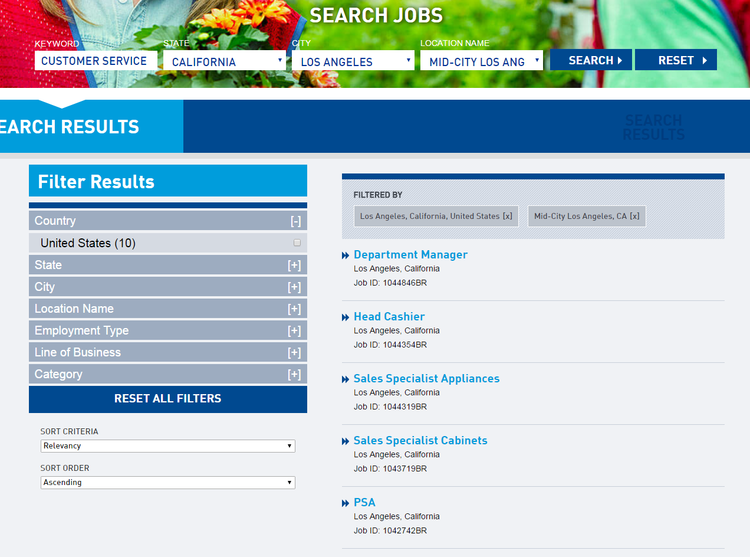 There are a list of related job opportunities that match your search criteria in the search results. Take a look at them, and select the one you find is most proper for you to continue. The detailed information of the job you want to apply for will be listed, such as position description, job requirements and qualifications. 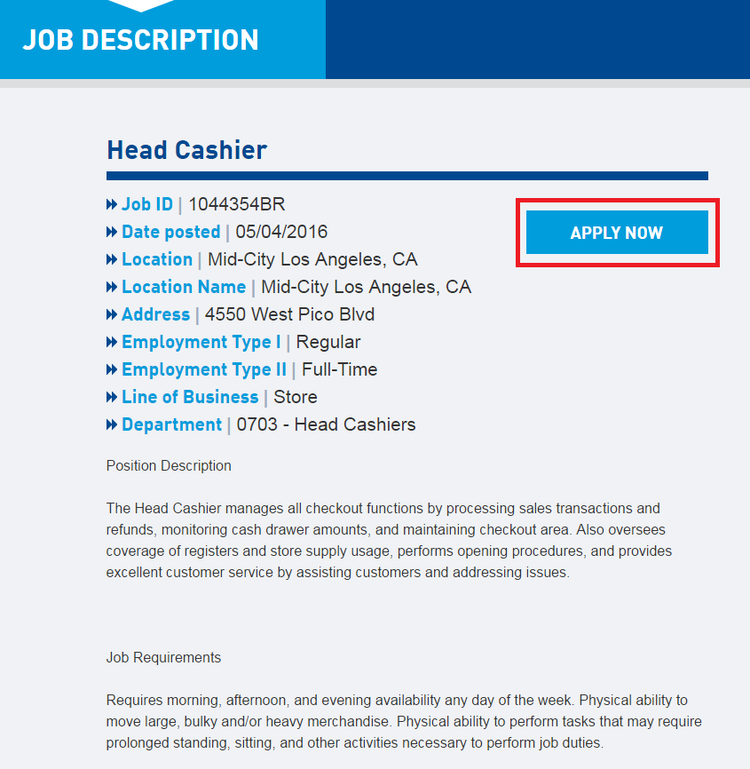 If you meet the requirements and qualifications, just click “APPLY NOW” on the page to apply for the job online. 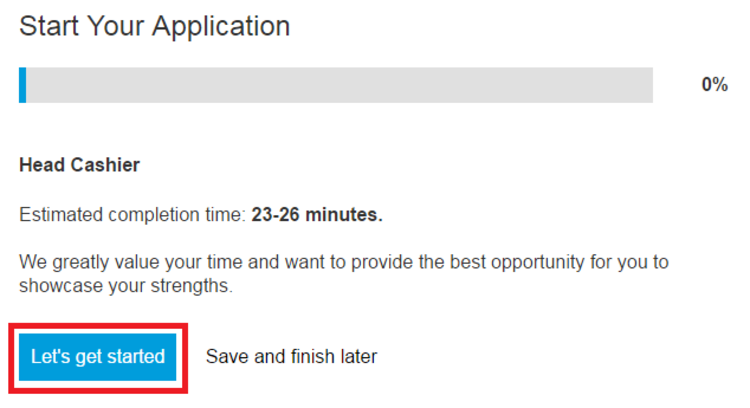 To complete the whole application process, you should sign in first. Answer the questions with your exact information, and then follow the instructions it gives to finish your online application. The whole process takes about 20 minutes, so be patient with every step and question until you submit the application in the end. 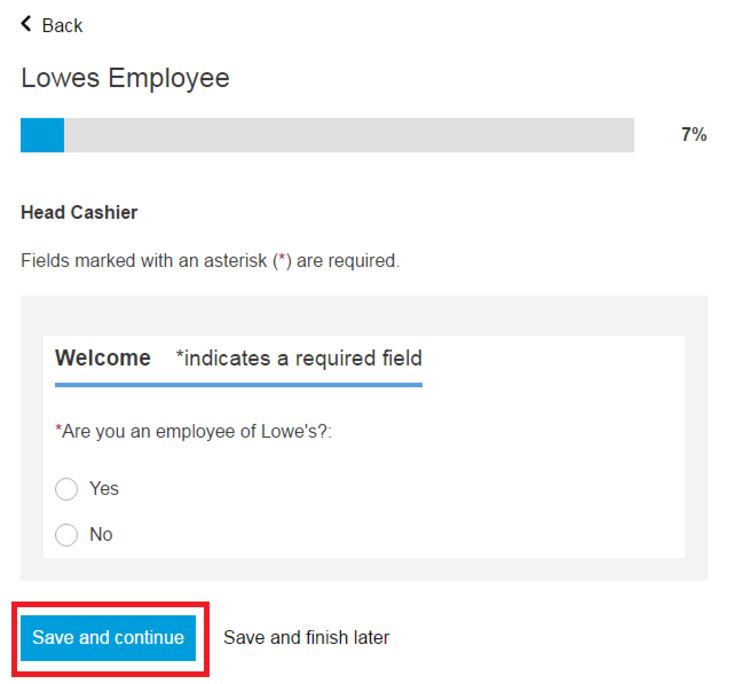 Click lowes.com/careers to apply for Lowe's jobs online.